Yellow Tail maker Casella is planning to launch a US$10 wine – double the price of the brand that has brought it global sales of more than 30m cases. 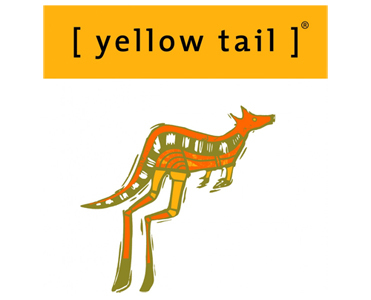 There are already premium-label Yellow Tails, such as its Reserve range and £20+ Limited Release range, whose Shiraz 2005 won Gold at this year’s DWWA.Basic label Yellow Tail – as was Jacob’s Creek before it – is frequently blamed for giving Australian wine its reputation as sweet, fruity and easily-quaffable, but Casella is unrepentant. This entry was posted on August 28, 2012 by The Oenophiliac in News. and tagged Australia, australian wine, Casella, Casella Wines, Coca-Cola Amatil, Decanter, Los Angeles Times, USA Wine, Yellow Tail, Yellow Tail Chardonnay, Yellow Tail Merlot.